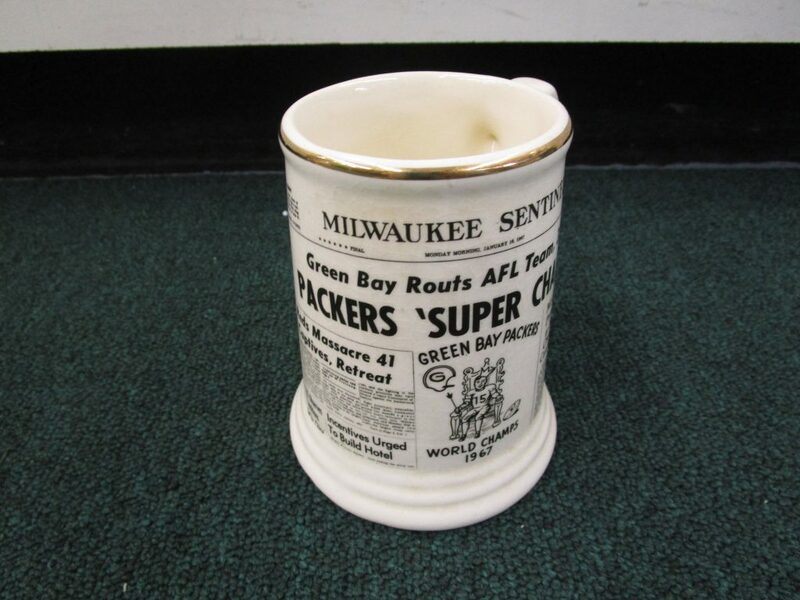 Here is a Vintage 1967 Green Bay Packers Super Bowl I Pottery Mug with Milwaukee Sentinel Newspaper Facsimile Sports Page on the front. 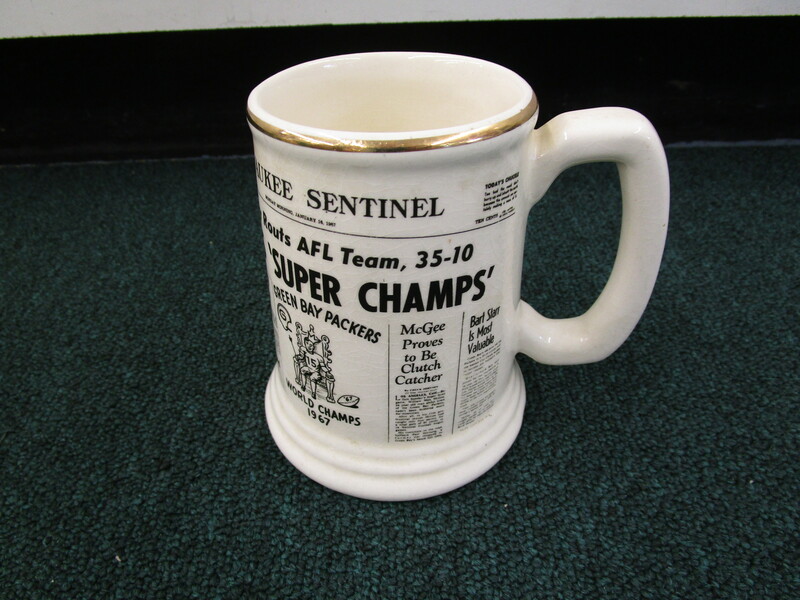 Mug measures about 5" high and is in Excellent Clean Condition-no damage or repair. 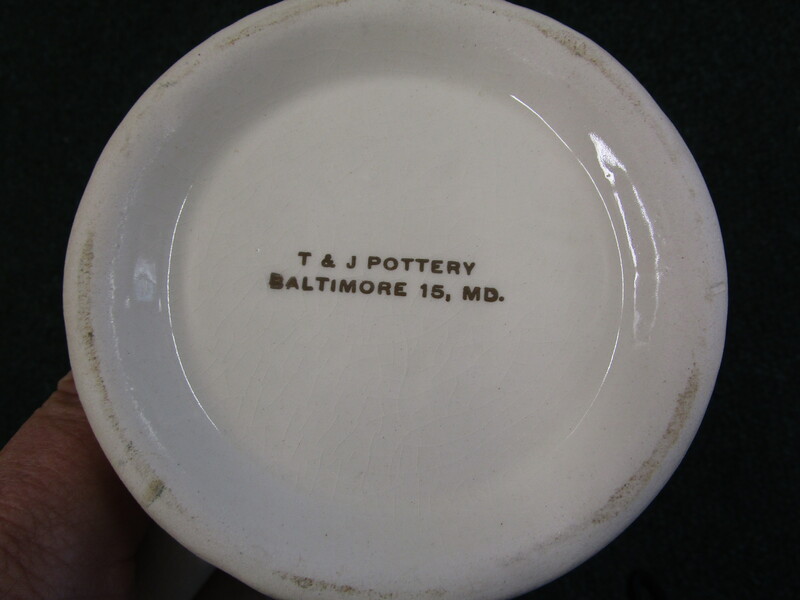 This is not a modern repro--this dates to the Lombardi era.